Iran’s intelligence minister said “dozens of spies” had been arrested as part of a crackdown on espionage and dual nationals and alluded to an agent Iran had placed in the Israeli government, Iranian media reported on Wednesday. 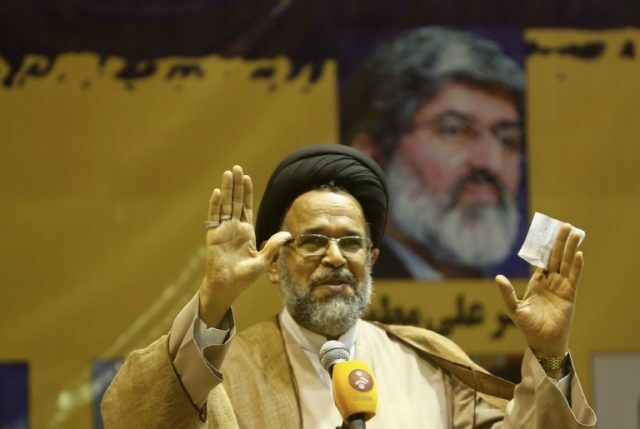 Intelligence Minister Mahmoud Alavi did not provide details of the “dozens of spies”, or over what period they had been arrested in the interview televised late on Tuesday. He said Iran had planted the agent “in the cabinet of a country that has a very strong intelligence service”. “Financially and through other means, our enemies try to get information on our country,” Alavi said the interview. “If you know anyone, tell us about them,” he said. He said 230 “terrorist cells” had been intercepted over the past year. “We foiled plots on places such as universities and the metro but we published little information about this,” Alavi said. IS carried out a multi-pronged attack on Iran’s parliament and the shrine of revolutionary leader Ruhollah Khomeini in June 2017 that killed 17 people. Alavi also talked about a crackdown by the authorities on corruption and those manipulating Iran’s chaotic currency rates, which have been a major focus of discontent in recent months. “If we want to have a dynamic economy, we must fight economic corruption. In the intelligence ministry, we have opened 130 files and more than 180 suspects have been arrested,” he said.